Greatly concerned that discrimination and outright oppression against minority religions in certain OSCE member countries seem to have increased in number and severity in recent times. This very much includes oppressive legal acts against various Christian denominations, which may serve to facilitate and encourage hate crimes against members of said denominations. Vague or ambiguous legislation as regards religious freedom, allowing authorities to take arbitrary action toward certain churches, including raids and closures, inter alia against ‘house churches’ in rural regions that lack officially registered church buildings. The interdiction for certain denominations to obtain or renew official registration of their status, or to hold services, or to perform missionary work, or to construct new church premises due to opaque or biased ‘zoning standards’. Official stigmatisation of converts to Christianity, including pressure on them to forswear their faith; the confiscation of bibles and other religious literature; or restrictions on the formation of church office-holders, thereby obliging churches to send candidates abroad for further education or recruit office-holders from abroad. 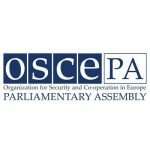 Calls upon the OSCE participating States to take actions against the increased discrimination of Christians in certain OSCE member states, as well as adherents of other minority faiths. Recognizes the full sovereignty of all Christian denominations and their ecclesiastical bodies, their independence from political pressure and their unquestionable rights to make their own decisions regardless of political conflicts. Recommends, against this background, to the OSCE that it embark on new concrete projects in response to the many calls for action advocated by the Freedom of Religion Conference and in the ODIHR ‘Hate Crime” study, in order to overcome remaining discrimination against minority faiths.